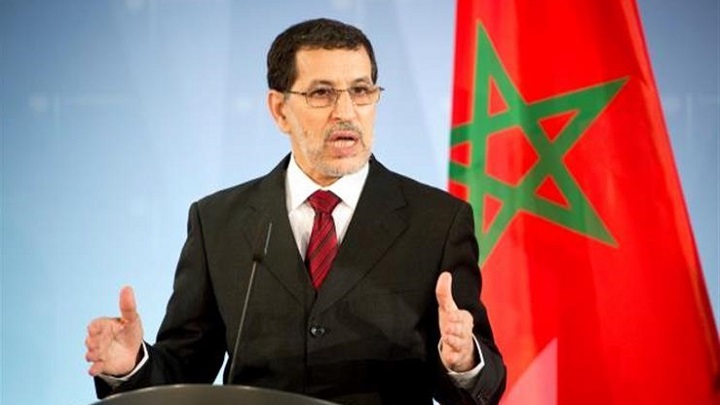 Moroccan President Saad Eddine El-Othmani accused parties of seeking to harm the security and stability of his country, especially in the Sahara region. He added that there is jealousy at the regional and international levels of his country’s attractiveness to investments and its political position. “We are confident in the future, and confident in our country, despite the confusers and the opponents,” he said. He also pointed out that Morocco has become the first country in Africa in terms of attracting foreign investment, stressing that the government looks forward to entering the club of emerging countries. El-Othmani’s statement comes amid rising tensions with Saudi Arabia and the United Arab Emirates. The government has stopped its involvement in Saudi Arabia’s war on Yemen, the Associated Press quoted government officials as saying. Officials said that Morocco no longer takes part in military interventions or ministerial meetings in the Saudi-led coalition and it recalled its ambassador to the kingdom amid Riyadh and Rabat. Morocco declined to host the Saudi crown prince in an unusual snub, citing the Moroccan king’s “busy agenda,” AP added. Moroccan news websites revealed that Rabat recalled its ambassador to the UAE, days after recalling its ambassador from Saudi Arabia. The independent website Ashkain quoted sources as saying that the Kingdom of Morocco recalled its ambassador to the UAE this week due to the airing by Saudi TV Channel Al Arabiya of a documentary that diverged from the Moroccan position on the Western Sahara issue. Yet, other media reported that the ambassador’s call was made for “administrative arrangements” requiring him to return to Morocco, while Morocco and UAE did not comment officially.